Last month I was thinking about some new goals for running. I’d been grappling with motivation and focus, and really thought about why I do this. My issues were pretty fundamental – road vs trails, speed vs volume, stuff like that. It’s normal to ponder this from time to time – the intended result being to attach purpose to what we do each day. One of my goals is to run marathon or longer in all fifty states. Not a phrenetic checklisting exercise, but rather visiting every state, experiencing what it’s about, and while I’m there, doing a race that’s something I’ll enjoy. I’ve completed 22 states in the past 15 1/2 years. This means I’ll click off state #50 when I’m a little over 90. But it’s very much a “journey is the reward” thing for me, so that’s okay. February’s a great time to race in the South. Not too hot yet, and there are some good options. Also, it’s usually a chance to escape the Seattle gloom. This is what brought me to the woods of northern Alabama this weekend for the Black Warrior Trail 50k. All indications were that this was a great choice. 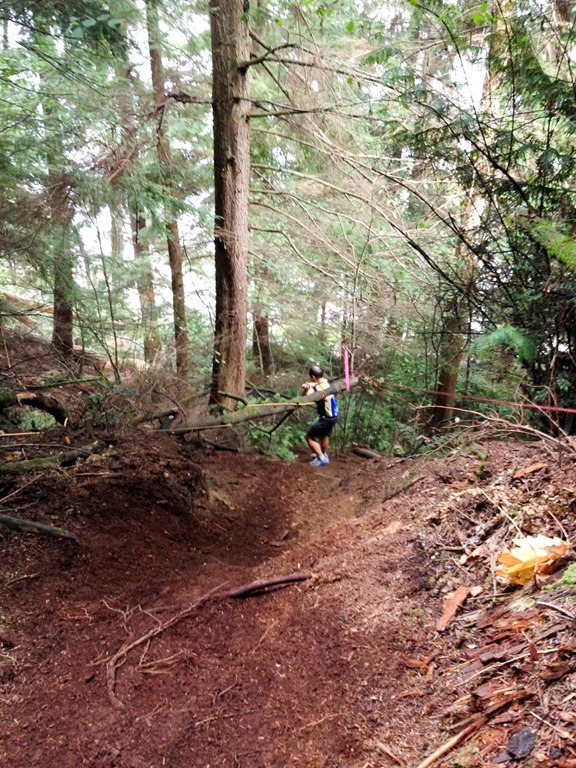 Trails, smaller event, good history, and irreverent humor evident in their communications. Wanting to gauge the time to the start, I went out there before dinner on Friday, and got to meet the race directors. 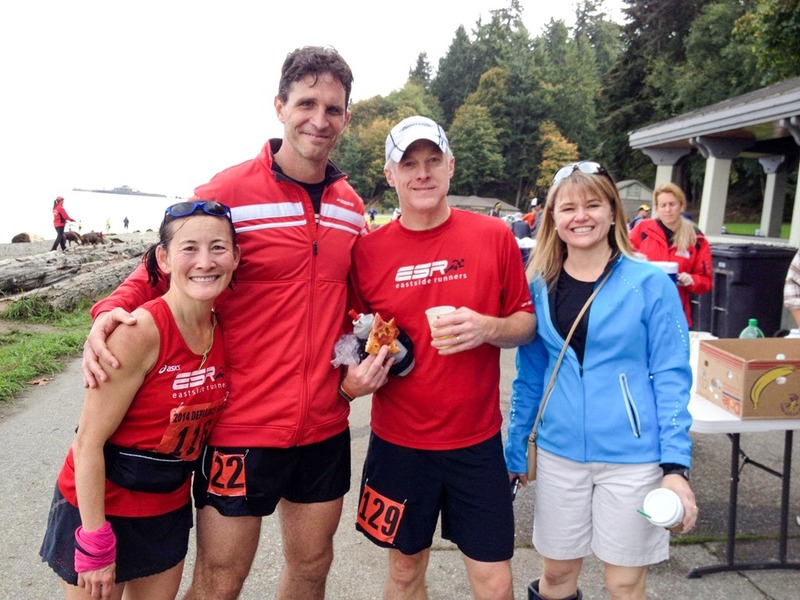 Really nice people – they let me pick up my bib and shirt, and invited me for some food too. 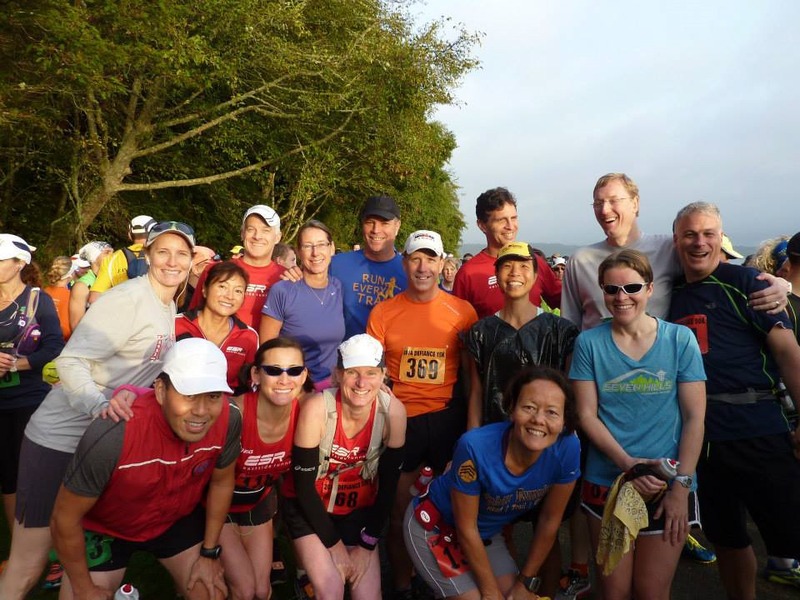 Their positivity really made me feel like I’d made the right choice – a large road marathon’s got nothing on the great vibe we get in our trail running community. Race morning brought some significant rain. We’re not afraid of weather in the Pacific Northwest, but this not the gentle mist we’re used to at home. This was going to be different. We 130 lined up and hit the trail just after 8 am. We started with about 500 feet of climbing during the first three miles. This foreshadowed more significant climbing than I’d planned on. After climbing on a fire road, we veered off into some nice single track trails, and people spread out a bit. I held to running the hills and walking 30 seconds/mile for the first 12 or so miles. After that terrain won, as did the mud. Oh that mud. Thing about hard rain on clay is that the water doesn’t get absorbed as quickly at the rain falls. Very slippery. Also ankle deep at times. I felt a bit like a Looney Toons character running on air. And I’m amazed I didn’t fall. I felt pretty tired by the time I hit about mile 13. This is when the walking became much more frequent, and my pace and cadence really declined. This is when my inner voice got more doubtful, and I had to push myself to keep moving. It’s not unusual for this to happen, but it felt worse because of the sketchy footing. Miles 17 through 24 really crawled by. The 50k runners had split off onto a separate loop around mile 8, rejoining the 25k route at 24, and this is when things picked up for me again. By then I was feeling concerned about going over 7 hours. Given my pacing for those middle miles, it was looking bad. Then is leveled off a bit, and I felt more consistent. Around mile 27, a young woman passed me, looking pretty strong. I used this as a motivator to try to keep up with her. After trailing her for about a mile, I assured her that I wasn’t stalking her, and thanked her for helping me pick my pace up. Emily and I ran most of those last four miles together. We talked about our kids a bit. She told me how she has to get creative with her training, as her husband travels a bunch. Her boy saved up for a nice bike, and now joins her for her runs on a greenway near her home in Huntsville. She’s run 6 100-milers, so she’s making it work. Wow! We crossed the finish in about 6:41 – which she shared was a 40-minute PR for her on this course. I felt really good about being able to pick things up during the last miles. In fact, my last two miles were my fastest two of the day. It helped that we spent most of that on fire road rather than single track, but being able to muster that finish felt really good. It’s also testament to how running really can be a team sport – it’s doubtful I could have done that without having good company and conversation. Clicking off another state is always fun, but experiencing an event like this one definitely makes it feel like that journey’s the reward. Bonus is that my first two events of 2018 were ultras, and that I’ve completed #96 lifetime “long ones” (marathon or better). The mile splits, and cadence really tell the story. It’s interesting that my heart rate remained pretty steady throughout, even as my pace and cadence slowed significantly. I pulled this table from my Suunto movescount data, because it includes cadence per mile. My Strava data is below too. Been a while – about two and a half years we last corresponded. Let’s catch up. How have things been for you? Still running. Did a nice local 50k a few weeks ago, happy with my effort. Learned a bit too. Since we last spoke, I’ve run nearly 5000 miles, and completed 16 marathons and ultras. Steady progress on some life goals too. Next week, I’ll run an event in northern Alabama – state #22 for me. And if I can keep healthy, I will complete my 100th long one later this year. Tracking mileage and event count sometimes motivates me. But it can also feed a certain compulsion – making running about hitting the numbers. This is something I’ve grappled with recently. After doing higher mileage, and averaging an event or more per month from 2012-14, I’ve dialed it back a bit. In part, life’s been busy. But I’m also kind of searching for my next set of goals. If I can shave five minutes off my marathon time, I can probably get into Boston. 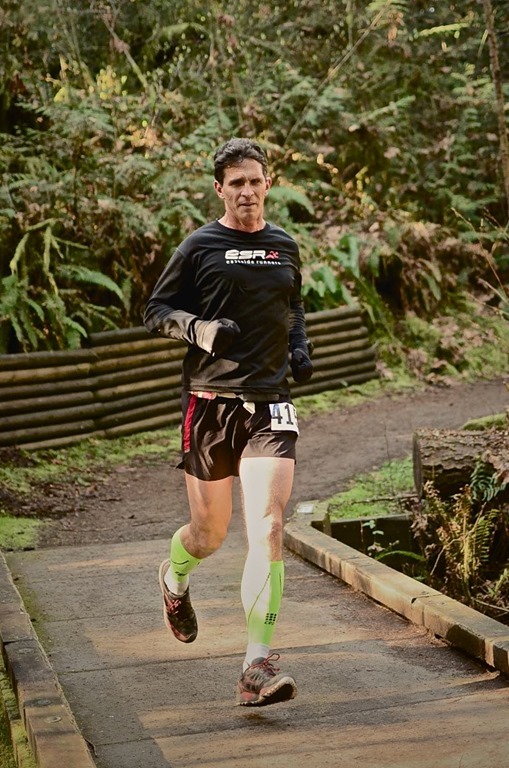 Do I want to step up the ultra distances, maybe try for a 100k, or a 100 miler? More fundamentally, do I want to focus more on trails or speed? 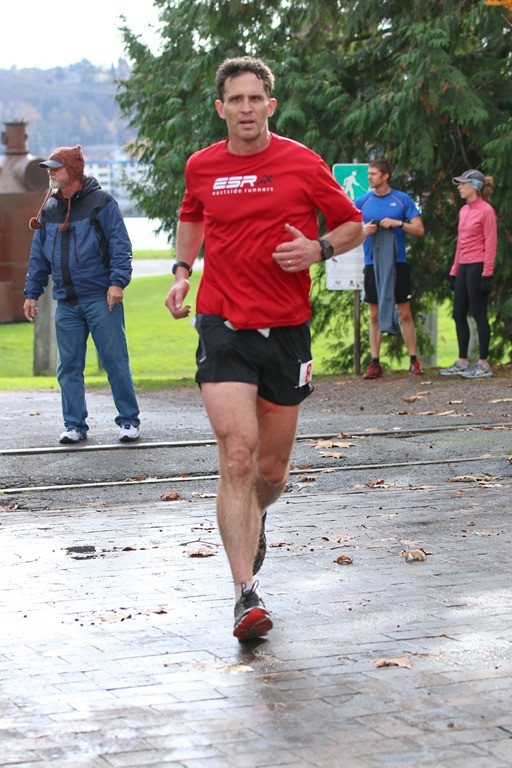 Owing to time constraints, I’ve been doing more solo running in recent years. I miss getting more of a social fix on the trails. How can I make that happen? Time always going to be our most valuable commodity. Spending between 7 and 9 hours per week running needs to feel like it’s time well-spent. For me, it needs to be aligned with a sort of ‘north star’. Something that adds a sense of purpose to evening runs in the dark and mud. What I’ve started doing is to put together a working list of events I’m interested by month. This has given me a first cut at a training cadence, and also some understanding about when I’ll want to mix in more high intensity work, or more hills. It’s a start. The past couple of months had been kind of a whirlwind of running events. 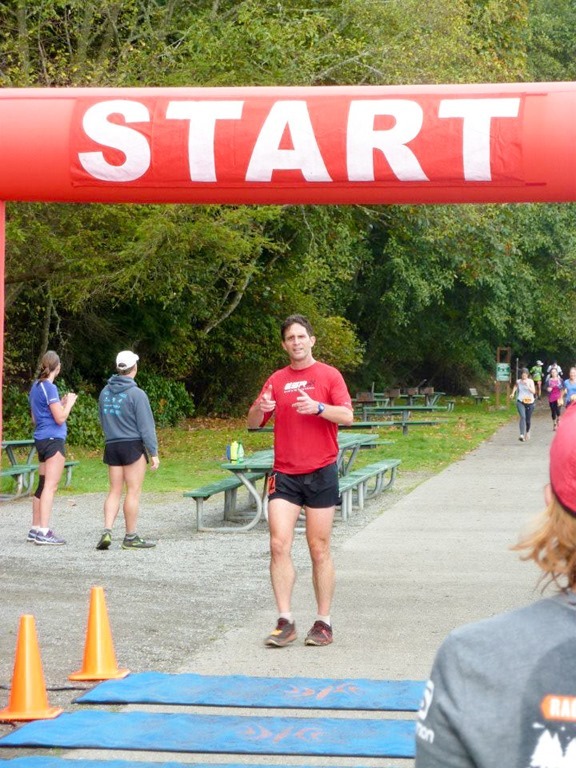 I’d gotten a new marathon PR at Tunnel Lite, been done Blerch’d, followed by a nice jaunt along Baker Lake. Legs were tired, but doing these had been a great way to step back from some work and life stuff that had been weighing on me. That’s the way it’s supposed to work, right? We do this for fun after all. 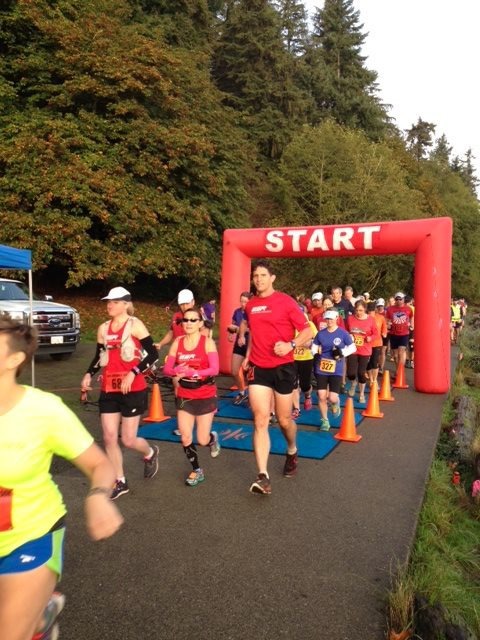 When I arrived at the start of the Point Defiance 50k this early October morning, I didn’t really have a race plan. I simply wanted to have some fun. I’d run out there just once before, on my way back from a memorial service, another time I’d used these trails to sooth my soul (we still miss you Pastor Ron). Today I’d line up with some good friends, including two doing their first 50ks. That’s pretty great. At the start we took some fun group pictures, and talked through some nerves. Just after eight, we were off. I hung with the faster kids from ESR for about two minutes, before taking it down a notch. It would be well over twenty miles before I saw them again. I lumbered up the steps, and then picked up the pace a bit heading up towards the point, where I caught up with a couple of friends and spent a few miles talking about life, and our teenage kids. I was running solo by the time we came round to White Rock and Ellis Alley, then took a few minutes to replenish at Fort Nisqually. I hung out with my friend Robert for a while as we headed up Achilles Hill, and then back to the point. I got some good tips about a race I’m considering doing in Hawaii and then we swapped stories about concerts from our distant pasts. I recalled that we’d met each other while running the Tacoma City Marathon about five and a half years ago. We’d met during the early miles when someone running with us observed that many of us had things that brought us out here, and motivated us. I shared my story, and Robert shared his. It’s amazing hearing about the twists and turns in someone else’s life, and then seeing what they do with it. 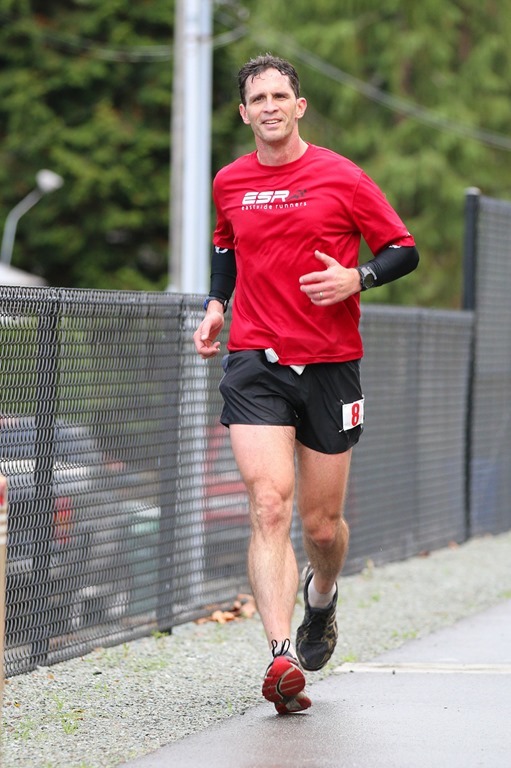 That day Robert was running a mile with a pace group, then speeding up to catch the next faster one. That takes lots of focus and determine – fueled in part by things that had told him “you can’t”. Right. So this was the theme of the day for me. I spent some miles with different friends, each with their own story that had brought them to the trail that morning. And each of us surprised ourselves, at least in some small way. Some of us did something we never thought we’d do. Along the way, there was some pain, doubt, and some turned ankles. But we kept moving. As I started my final loop, I ran with my friend Gunnar, who’d finished the 30k, and was heading back to his car. We know each other from work – and so talked about how easy it is to get caught up in things that steal time away from stuff that really matters. As I headed up the steps for that last time, we told each other we should get together to run at work sometime – I really hope we do. I completed my three loops with a very surprising consistency – each had taken within a minute of all of the others. These were 10.375 mile loops – so it’s nearly unheard of – it means I’d varied less than 5 seconds per mile over the whole 31.25 miles on average. I’d be lying if I said I planned it. I’d love to claim that I ran that smart a race, but all I did was to run according to how I felt. Towards the end, I pushed a bit trying to get close to a 5:45 finish, but that’s the only time I paid any real attention to my watch. After that final trip down Nelly’s Gnarly Descent, Don and Amy cheered as I came in just a shade over 5:50. I visited with Rikki, who had come in a bit ahead of me. 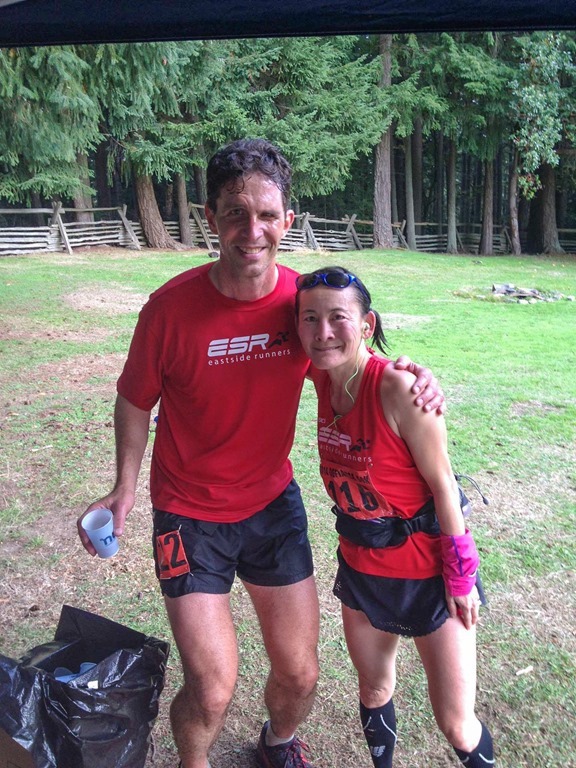 Shortly afterwards, Larissa came in for her first 50k finish, followed shortly afterwards by Bob. We rested, relaxed and then saw Carol come in for her first 50k finish, smiling ear to ear. One week off of a hard marathon, Sue had a tough last six miles, but she came across the line as well, with Kirk spending that last bit with her. That’s what it’s about, isn’t it? You go out there to challenge yourself, but to have enough fun that you’ll do it again. And again. This wasn’t my fastest race, nor my hardest. But I’ll remember this one for a long time.